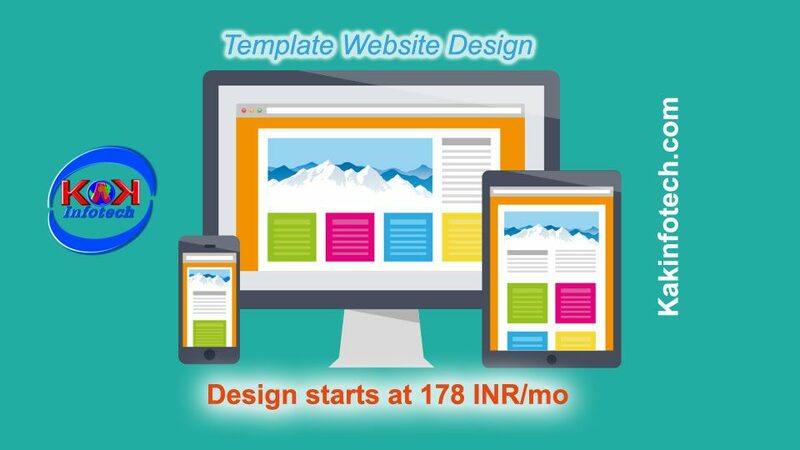 KakInfotech.com offers Website Design Template starting @ 178 with FREE SSL. Kakinfotech.com provides powerful and enhanced website design template to design website with no coding knowledge and experience. KakInfotech Website builder can give you several professional website design layout out of 200+ website template for any purpose irrelevant of the category of business you are into. You can edit any free business template for better customized look and feel, you have full control on all templates to edit for unique look. KakInfotech provides responsive and mobile ready website templates. We offer luxury and liberty to use freely stock images free of cost on your website at no extra cost. You can use these images to create albums or slideshow anywhere on the website with your custom image also. With website Design template, you do not need to hire any website designer or developer, simply use our built-in template website design for your category and use the readymade website design. Now simply select the block and change texts and images to suit your website look and feel offered by Template website design company. Drag and drop editor – This feature facilitates you to add images, text, video and audio without any technical skills. Responsive Design – This feature provides you the adjustable view of website on any type of screen whether mobile screen, tablet, laptop etc. SEO Ready – We provide website with carefully planned search engine optimized content strategy based on comprehensive keyword research and keyboard strategy. Website Templates – Our template builder provides 200+ templates for any type of professional website you want. WYSIWYG Editor – With this feature you can customize everything on website. Readymade custom blocks for different rows and columns help you easily add a layout to further save time and money. You can design any type of website with every plan and with platinum you can upload each website with unique domain because in this plan you have unlimited website hosting free of cost with no ad. We do offer static website design which starts from $40 and dynamic website design starts from $100 that you can use for business. KakInfotech.com offers web hosting free of cost on purchasing website design template. Platinum gives free SSL for more secure website.